Since the early aughts, superfoods have taken off with health-conscious eaters around the world. These exotic-sounding, nutrient-dense berries, greens, and seeds like goji, acai, and flax have made their way into the regular rotation at juice bars in cities nationwide. But these health-supportive all-stars have been slower to find their way to rural areas like the Hudson Valley. 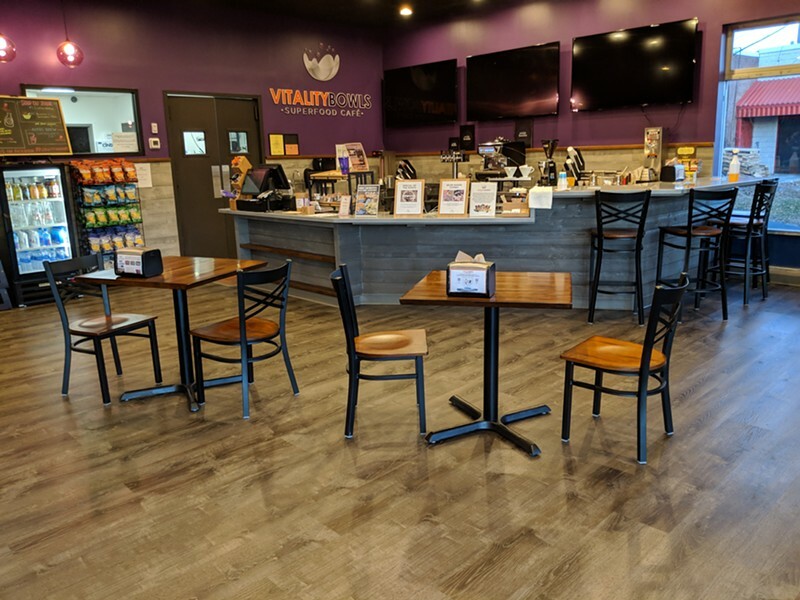 Vitality Bowls, which opened in Wappingers Falls last year, has set out to bring superfoods to the area with their smoothies, juices, and health bowls. 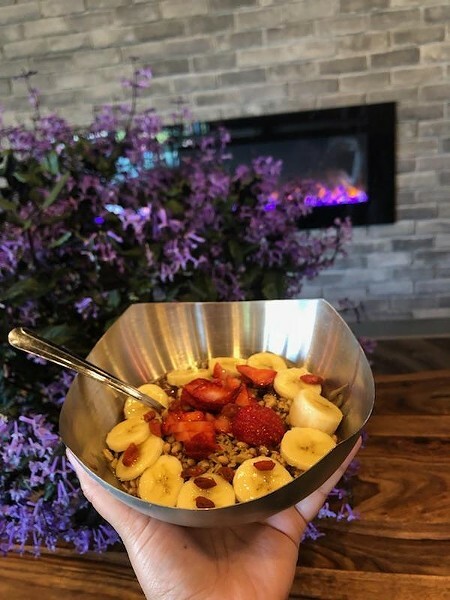 specializes in delicious açaí bowls, which are a thick blend of the açaí berry topped with organic granola and a selection of superfood ingredients. 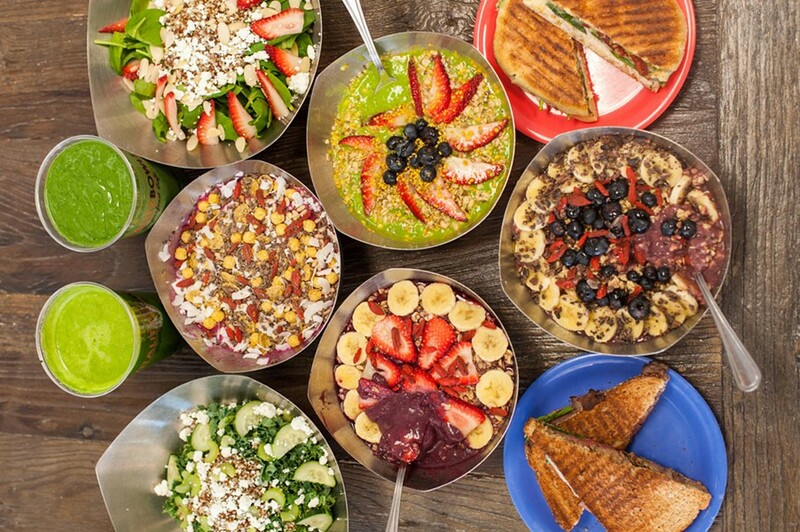 At the Wappingers Falls location, you’ll also find antioxidant-rich smoothies, fresh juices, soups, salads, and panini. All items on the menu are made fresh to order and in a kitchen designed to avoid cross contamination of common food allergens. No ingredient fillers such as ice, frozen yogurt, added sugar or artificial preservatives are used, giving the purest taste possible to each item. “It’s not like forcing yourself to eat something healthy. It’s so delicious,” Lesa says. 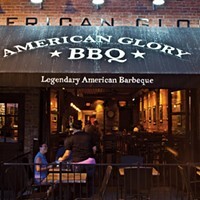 “It’s like having dessert, you want to go back for more because it’s so good. But unlike a sugary dessert, you’ll feel great after you eat it.” And you can get in and out fast, you can even order online, making it as handy as fast food without the cholesterol and clogged arteries. 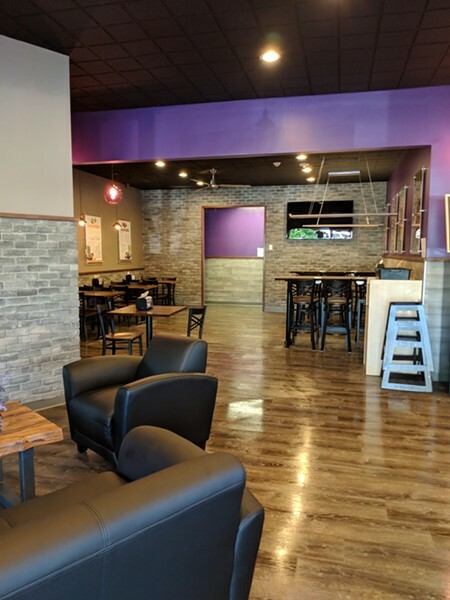 The grey and purple interior of the Wappingers Falls location has a streamlined, modern look. “We’re building up a big lunch crowd as people realize what they can get here,” Lesa says. So ditch the ham sandwich and head to Wappingers Falls for a super-charged breakfast or lunch.